On Independence Day in the evening, neighbourhoods all over Finland are adorned with the twinkling lights of blue and white candles on windowsills. Finland became independent on December 6, 1917. Our American reporter recounts his experiences of the holiday. What I find interesting about Independence Day is the combination of solemnity and enjoyment. For example, on the serious side, you have patriotic speeches, visits to cemeteries, tributes at war memorials and special church services. 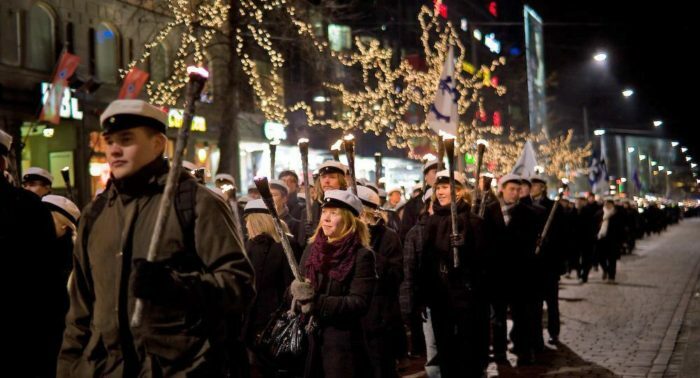 Wearing their traditional white caps and carrying torches, students in Helsinki start at Hietaniemi Cemetery and walk to Senate Square, where they listen to speeches and music. 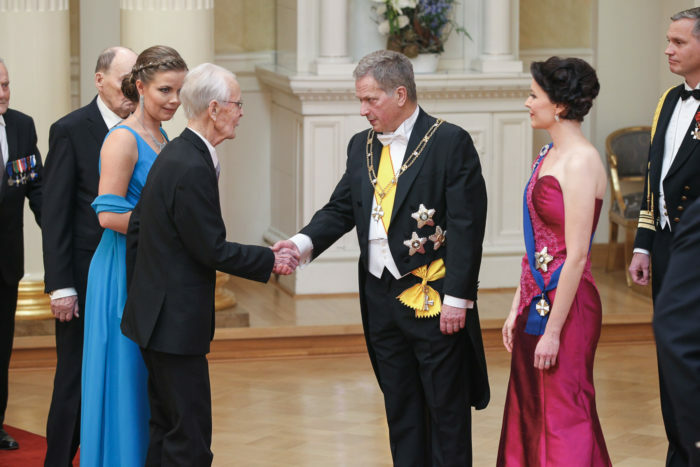 The President awards medals and decorations to several thousand people for outstanding achievements. On a lighter note, people place blue and white candles in their windows, bakeries sell blue and white pastries, shops are adorned with blue and white decorations and there are blue and white flags on display everywhere. On TV, you can hear patriotic music, listen to lively discussions and watch the legendary film The Unknown Soldier (the vintage version), an emotional story based on Väinö Linna’s eponymous novel about the Second World War. Finns are generally in a good mood on this day, and like to eat a festive meal with family or friends. On my first Finnish Independence Day, I went to a nice restaurant with some fellow students and ate delicious Finnish cuisine. During the meal we talked about the meaning of freedom and about Finnish history. Prior to independence, Finland formed an autonomous Grand Duchy in the Russian empire for 108 years, and before that it belonged to the Swedish kingdom. During the Second World War the Finns had to defend their freedom. We also discussed lighter subjects, enjoyed the food and savoured some wine. 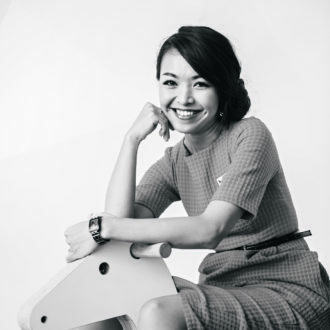 I found this get-together a very uplifting and elegant experience – one that should be repeated. On Independence Day, numerous formal and informal social events happen throughout the country. However, the highlight happens in the evening, when the President holds the Independence Day Reception, a gala event for VIPs and specially selected guests. The invitees include high-ranking military officers, politicians, police officials and diplomats, as well as prominent athletes, entertainers and activists. This event is broadcast on national TV, and it seems like half the population watches it. Later the band starts playing and viewers can watch the guests dance, eat and drink. Reporters circulate, interviewing famous people and asking them about their ideas on independence. They usually provide good answers, although nothing earth-shaking. After a certain point the cameras must be switched off, and the press has to stop reporting. 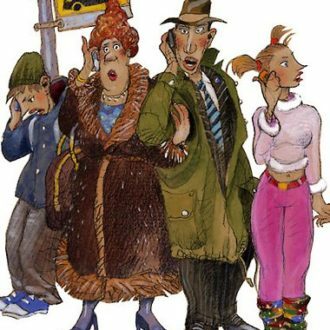 What goes on then is of great speculation for the country, and the evening papers spend the next week treating readers to gossip from the ball – usually very tasteful gossip. The wife of a friend of mine is fascinated by the President’s Independence Day Reception, and once insisted that they get as close to the Presidential Palace as possible so they could see the famous people getting out of their taxis. “Isn’t this exciting! ?” she asked. “Well, it might be if it wasn’t so cold and snowing so hard,” he answered, to which she replied, “Oh, stop complaining! Wow, just look at who’s getting out of that car!” And so the evening progressed. On the other hand, some people are not pleased about the reception. They gather across from the palace, carrying signs and shouting about the inequality of the society or other current political topics. The protesters’ numbers are usually very small. Then there are those who organise alternative receptions and dances. Some even hold Independence Day dinners in their homes, where the guests dress up, eat a sumptuous meal and drink sparkling wine, with the President’s reception on TV in the background. 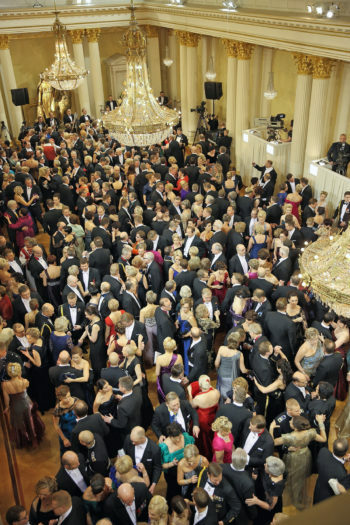 Finnish schoolchildren get an opportunity to have their own Independence Day Gala. 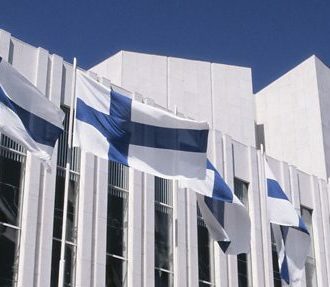 In Helsinki, the mayor invites the city’s fourth-graders to Finlandia Hall, the landmark building designed by Alvar Aalto. My daughters wore elegant dresses and got their hair done for the occasion. The girls were accompanied by their “dates” – some of the boys were probably wearing a necktie for the first time in their lives. Quite an event for kids who are ten or eleven years old! Everyone has her or his own way of celebrating Finland’s independence. 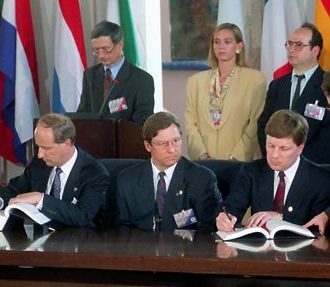 The main point is that country worked hard to gain its freedom, and fought hard to keep it. 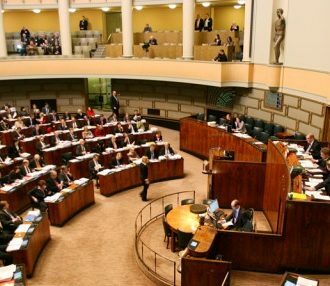 Finns learn at a young age that self-determination should never be taken for granted. They are reminded of this every year on December 6. Swedish, Russian and independent eras in a nutshell. Just about everything you need to know about the Finnish government. The banner showing “the blue of our lakes and the white snow of our winters” was made official in 1918, shortly after independence. 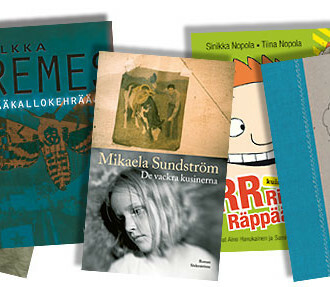 Get to know the Finns with our abbreviated but thorough guide – a starter kit for keeping up with the Finnish culture. 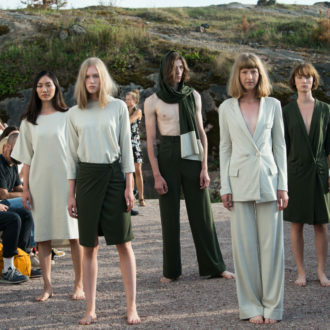 As the global clothing industry struggles with a sustainability crisis, several Finnish companies are offering solutions.